With a high-quality pressure washer, you can blast away dirt and debris, but if the pump has failed, you need to consider buying a new one. The pump is essential because it’s what creates the pressure needed to get the job done. 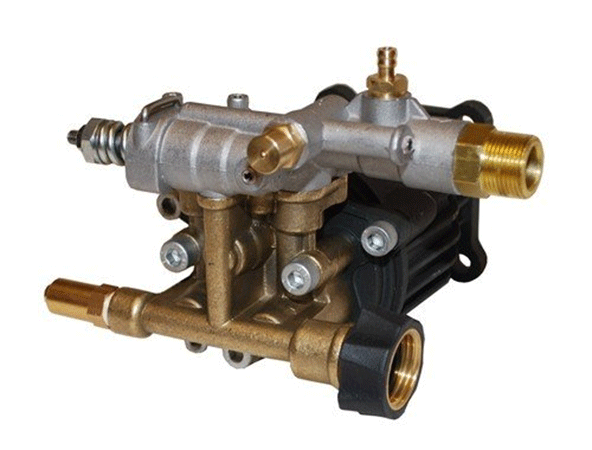 Many top pressure washer pumps are designed as replacements, and once installed, they can start sending pressurized water through a hose and allow you to finish the job. Here we have a top product from Comet Pump, and with a maximum pressure rating of 3,000 PSI, it’s ideal for many industrial applications. Since this pump is a universal horizontal shaft, it’s compatible with several different motors. However, it’s recommend for use with Honda GC160 5HP motors, and it’s designed to be bolted directly onto the engine. 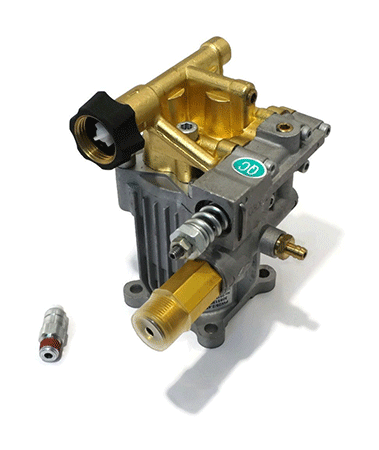 This pump is designed for several different types of motors, and it’s commonly used with Husky, Generac and Honda motors. With a maximum pressure rating of 3,000 PSI, it offers enough force for most applications, and it can pump up to 2.5 gallons per minute. The Himore universal pump will fit most horizontal crank engines, but they must meet certain size specifications. 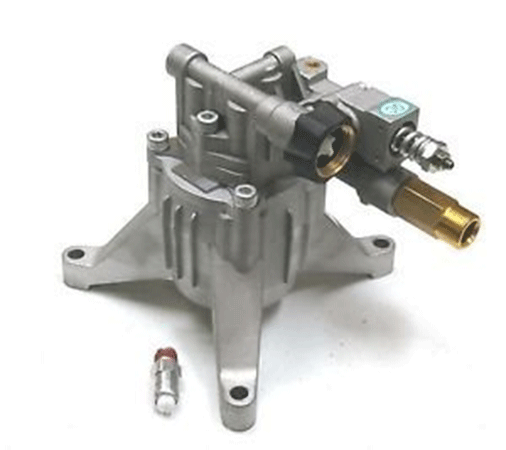 The AR North America SRMW22G26-EZ axial radial drive pump is another popular product, and it can work well as a replacement pump for most pressure washers. 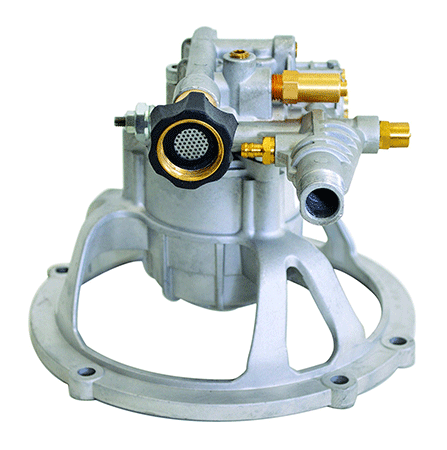 This pump has an RMW of 3,400 RPM, and it features a vertical gas engine flange. The AR North America SRMW22G26-EZ has an aluminum precision manifold and uses three 6mm bolts, which are made from cadmium-plated steel. It has a maximum pressure rating of 3,000 PSI, and it’s made from high-quality metals. The SIMPSON Cleaning 90026 axial pump features an aluminum head, and it can pump up to 2.4 gallons per minute. This pump is capable of 3,000 PSI, and since it’s a direct drive vertical axial pump, it’s compatible with several types of motors. It has a built-in thermal relief valve, and with a universal design, it will fit most brands. 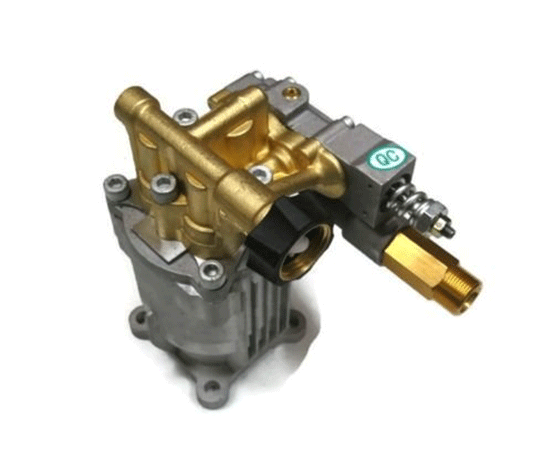 Here we have another top replacement pump for your pressure washer, and it’s made with a high-quality thermal relief valve. If you’re looking for an easy way to convert a garden hose into a quick-connect fitting, this pump should be considered. It’s designed for a maximum pressure of 2,750 PSI, and it can pump 2.5 gallons of water per minute. 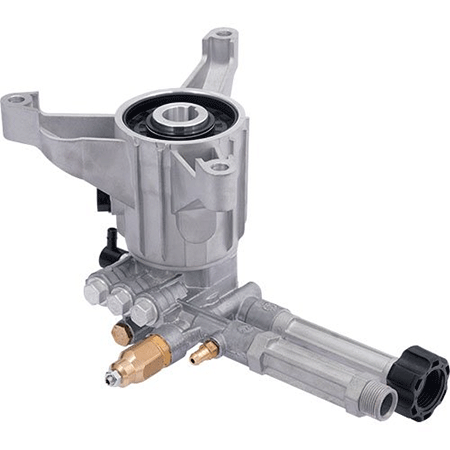 The Briggs & Stratton 207365GS is a high-quality pump kit for pressure washers, and since it’s a genuine part, you can trust the quality from Briggs & Stratton. 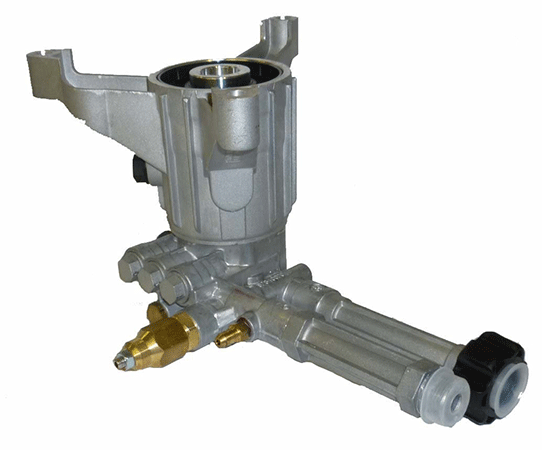 This pump serves as a direct replacement for a Briggs 202274GS, and it’s compatible with pressure washers from several different brands. The Annovi Reverberi pump can pump 2.5 gallons per minute, and it serves as a high-quality replacement for many OEM pumps. This product is designed with a thermal relief protection valve, which prevents overheating, and it’s capable of handling a maximum pressure of 3,000 PSI. 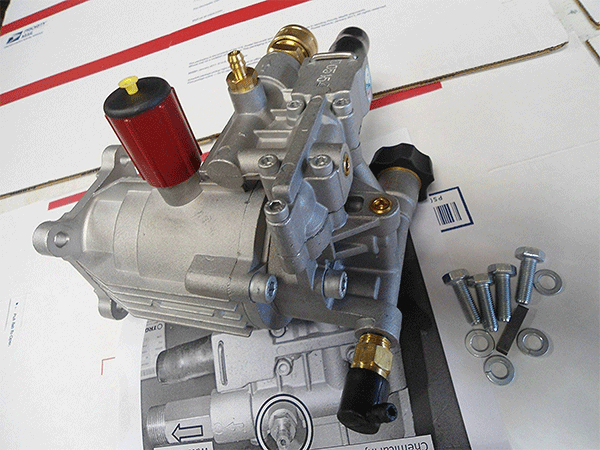 Here we have another top replacement pump, and it will work with pressure washers from several different brands. With a maximum pressure rating of 3,000 PSI, this pump works well with EXCELL and GENERAC engines. If you’re looking for a replacement pump because your OEM pump failed, this product can get you back to work. Like many other replacement pumps, this product is capable of handling 2.5 gallons per minute, and it’s designed for a maximum pressure of 2,800 PSI. Since this is a new pump, you can avoid the potential problems associated with used pumps. This pump comes filled with oil, and it can be used immediately. Although it comes with a thermal relief valve, you’ll need to install it opposite of the inlet fitting. With a maximum pressure rating of 2,400 PSI, this pump can’t hold as much pressure as some alternative products, but it’s still a great replacement for a failed OEM pump. It can pump 2.2 gallons per minute, and the inner parts are made from strong metals. When shopping for these products, you have three major types to choose from, and you can go with a triplex, axial cam or wobble pump. The maximum pressure that the pump is capable of is an important feature to consider because some jobs require significantly more pressure than others. Before deciding on a product, you should always check to make sure it’s compatible with your pressure washer. 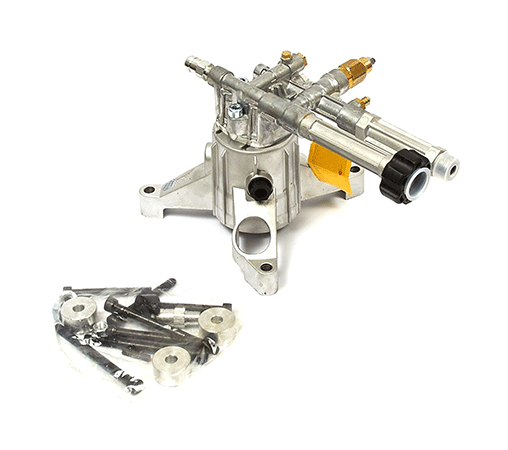 Most universal pumps are designed to fit engines from most major brands, and as long as you know what to look for, you can save money and avoid problems. When your pressure washer breaks, dealing with the aftermath is never fun, but if you want to get back to work as quickly as possible, you’ll need to purchase a top pressure washer replacement pump. 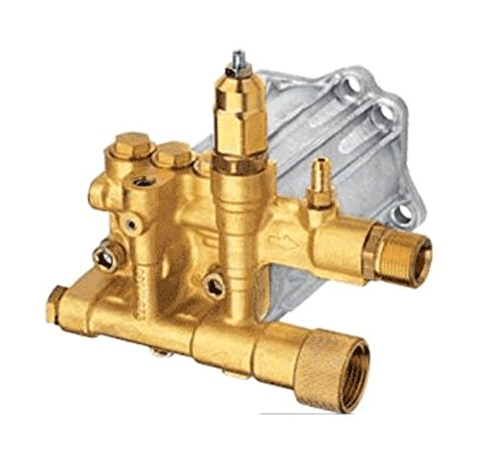 Due to the fact that many shops will charge hundreds of dollars to fix your existing pump, a simple replacement pump could save you hundreds of dollars and eliminate the need to buy a new pressure washer.